“Since announcing we’d be the flagship carrier from the state of the art new terminal at Avalon Airport in February, we’ve been preparing to make this much anticipated open for sale announcement. "The new international terminal construction is well underway. At almost 9000sqm, it will house state of the art facilities with the latest innovations in customs equipment and processes, as well as a fantastic choice of Duty Free shopping and food and beverage options. 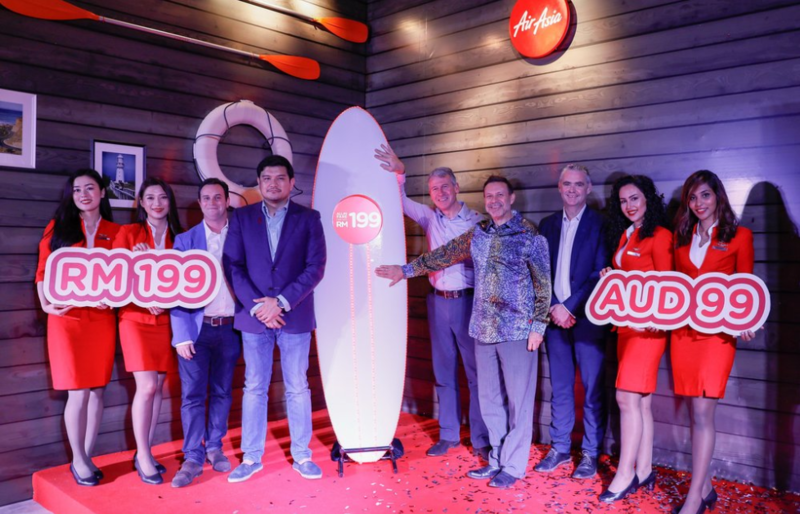 With AirAsia’s Fly-Thru connecting services, Australian consumers will have a world of affordable travel destinations available throughout the airline’s network of more than 130 destinations throughout Southeast Asia, the Middle East and the US, including popular leisure favourites such as Thailand, Vietnam, India, China, Indonesia and many more. The inaugural AirAsia X Flight D7214 will arrive at Melbourne Avalon on the morning of the 5th December 2018.